Panasonic Vietnam was presented with the National Environment Award 2017 by the Ministry of Natural Resources and Environment (MONRE) for its outstanding efforts and achievements in environmental protection. It is the second time in 10 years that Panasonic has been awarded for its contributions to environmental education for the younger generation, environmental protection with the community and production of eco-friendly products have been recognized by the government and society. Among them is a series of eco learning program conducted by Panasonic Vietnam since 2011 for over 13,000 students in the cooperation with the MONRE, UNESCO, WWF and hundreds of schools nationwide. Especially, through the Panasonic’s annual planting tree program “For a Green Vietnam”, together with local community, Panasonic employees have planted more than 70,000 trees in 4 provinces contributing to sustainable green change, improving quality of life, protecting health and environment for the community. Mr. Masahiro Yamamoto, Director of Corporate Planning and Brand Promotion, Panasonic Vietnam said: “In the year 2016, many serious environmental problems in manufacturing enterprises were the center of attention of the government and people. With high awareness of our own responsibilities, since starting business in Vietnam, Panasonic has set environmental protection and sustainable green development as the focus of our business. Then, we have constantly improved our technology to make efficient use of materials, save energy and create eco-friendly products. At the same time, Panasonic employees are trained to become active nucleus in the environmental education and communication activities in the community through Eco Relay, Eco Learning, Earth Hour programs and so on. 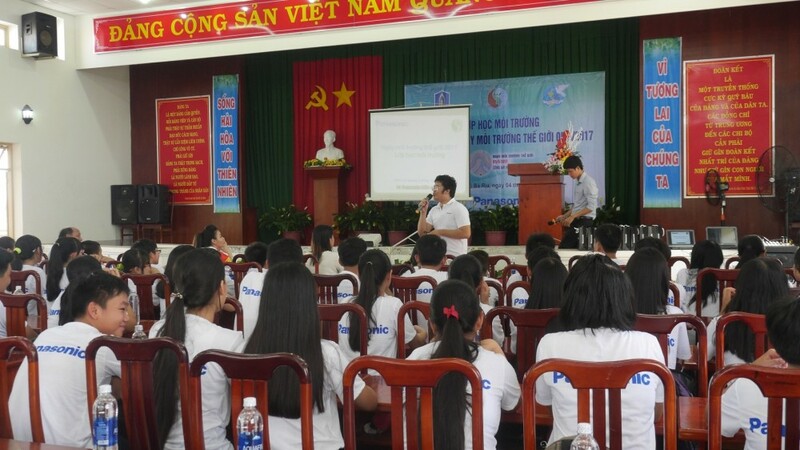 In the framework of National activities towards the Internal Environment Day 2017, along with the award ceremony, Panasonic Vietnam held an Eco learning program for 100 students at Le Quang Cuong secondary school, Ba Ria city. The award is presented every 2 years to encourage environmental movements, contribute to the sustainable economic and social development and honor the typical portraits in terms of environmental protection. 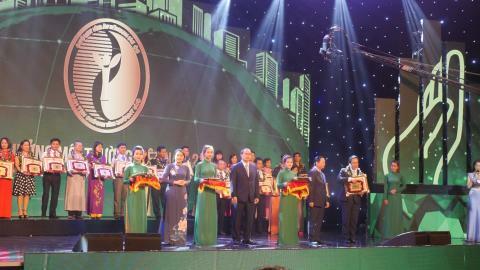 Panasonic Vietnam is one of the two foreign investment companies receiving the award this year. Panasonic Corporation is a worldwide leader in the development of diverse electronics technologies and solutions for customers in the consumer electronics, housing, automotive, enterprise solutions and device industries. Since its founding in 1918, the company has expanded globally and now operates 474 subsidiaries and 94 associated companies worldwide, recording consolidated net sales of 7.343 trillion yen for the year ended March 31, 2017. Committed to pursuing new value through innovation across divisional lines, the company uses its technologies to create a better life and a better world for its customers. To learn more about Panasonic: http://www.panasonic.com/global. Hanoi office: 14th floor, Charmvit Tower, Tran Duy Hung Str., Cau Giay Dist., Hanoi.